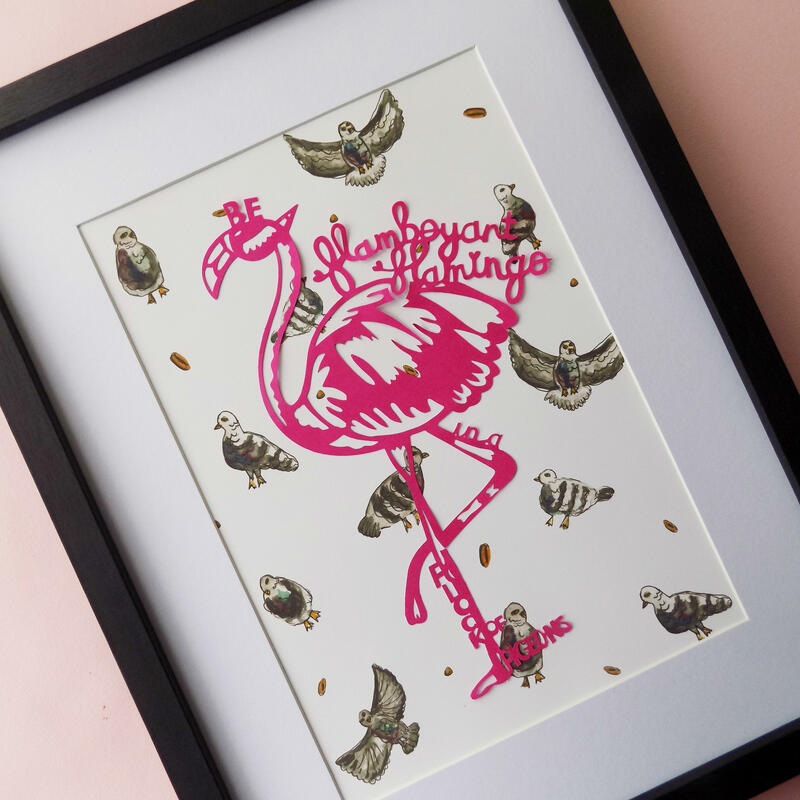 A flamingo paper cut digitally die cut on acid-free fuschia paper, and overlaid on an archival paper print of watercolour pigeons using fade-free ink. 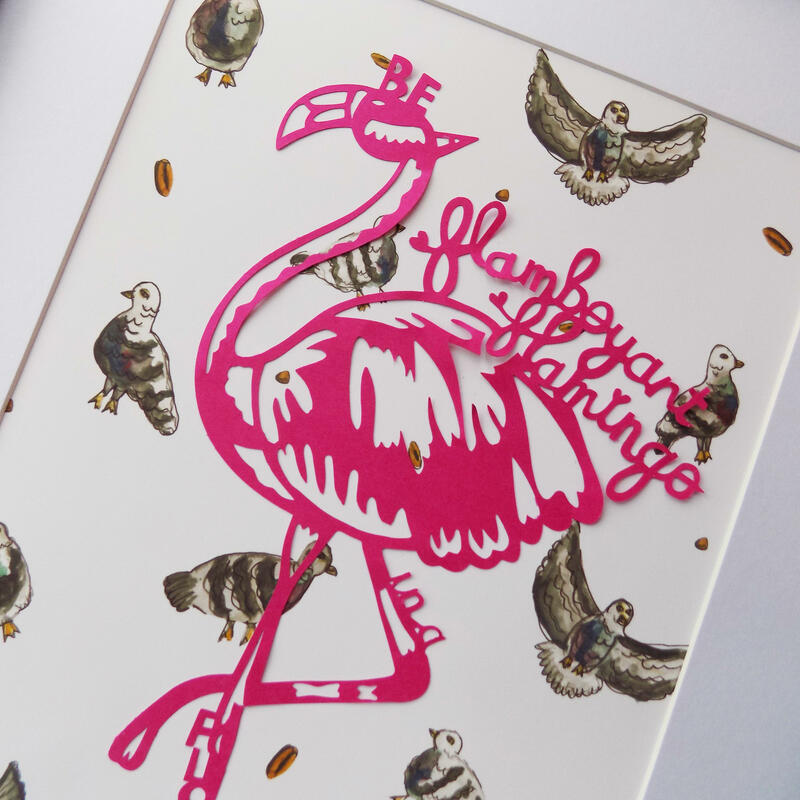 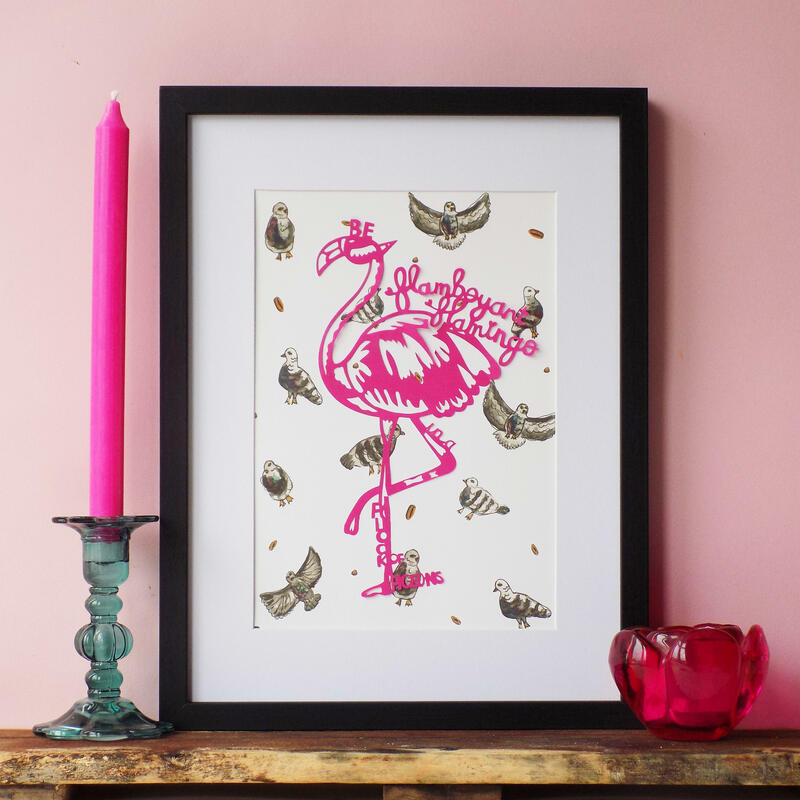 'Be a Flamboyant Flamingo in a Flock of Pigeons' is the message and I've tried to live by this all of my life and stand out from the crowd so my fabulous and flamboyant papercut flamingo is actually on my own living room wall! 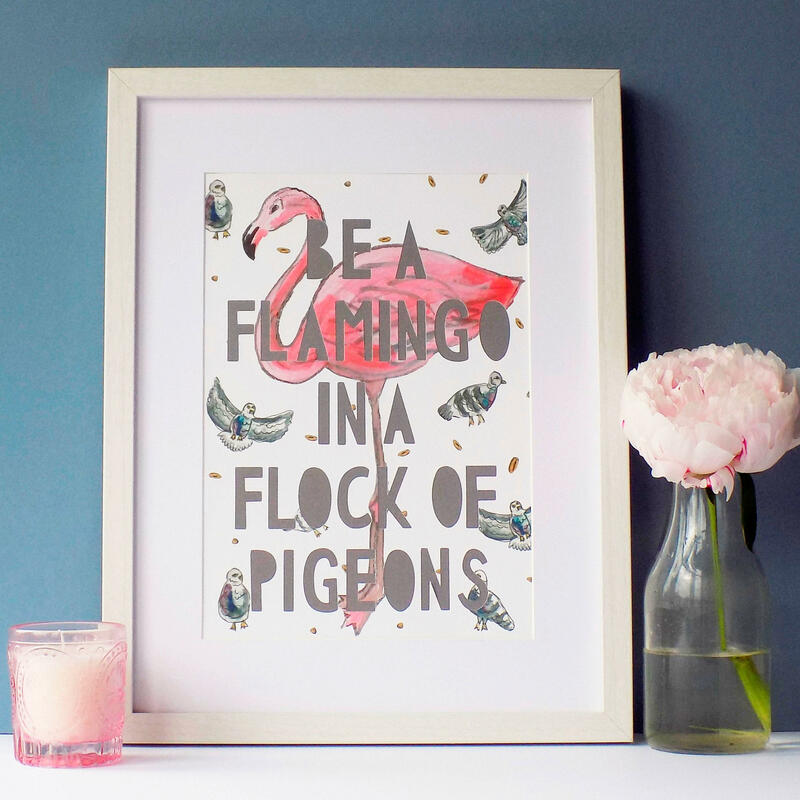 Overlaid on a fine art print of watercolour pigeons, this is a fun and quirky gift for any fashionista friend!